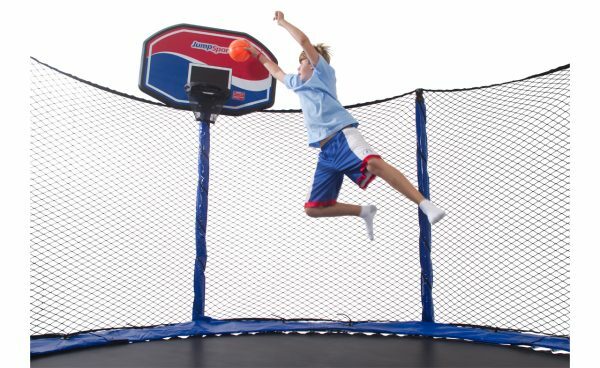 Kids bounce to new heights of fun while still playing safe! Patented Triple-back-up™ safety design with added strap and shock cord suspension system. Protect your kids and their friends: Comprehensive studies show that 45 – 55% of all trampoline injuries result from fall-off accidents. Builds Athleticism: JumpSport’s games and accessories develop balance, spatial awareness and stamina and encourage safer play activities. Great training and conditioning for teens: skiing, snow/wake boarding, cheer leading, etc. Fun, healthy alternative to television and video games, right in your own backyard. 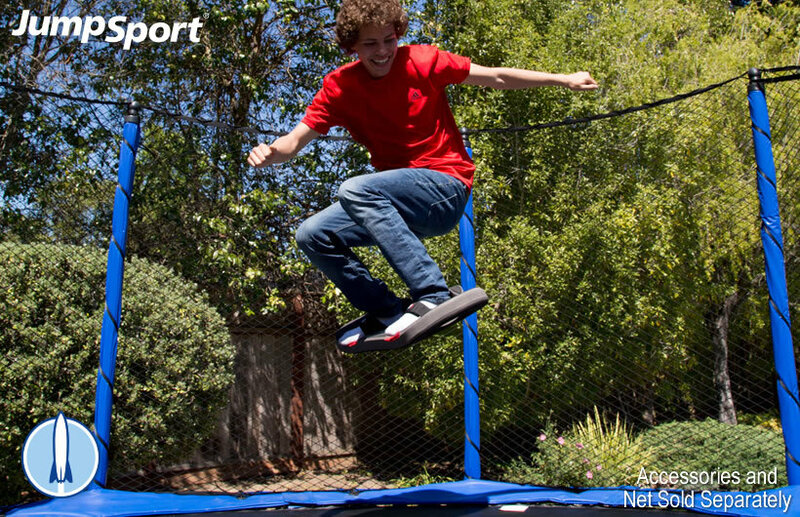 Net acts as a security fence to discourage unauthorized use of your trampoline. 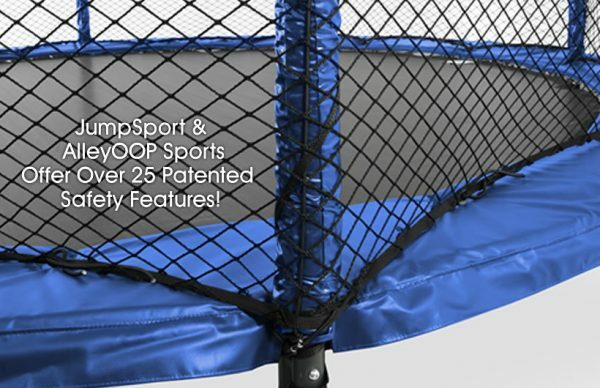 This state-of-the-art technology improves both shock-absorption and bounce performance. 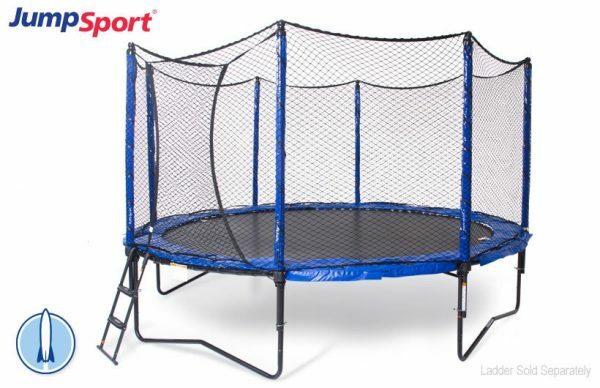 It’s the first and only single-bed trampoline that can be tuned for different age, weight, and skill levels, yet it also broadens the performance spectrum so that jumpers with a wider range of weights and skill levels can safely enjoy the same setup. Heavy-duty, 1.75″ diameter, Cold Rolled Steel (CRS) that is powder coated with a rich jet black finish to help protect against the weather.The mat has 10 rows of stitching and a UV shield with the addition of high-strength heavy-duty mat edging designed to withstand the increased demands of power jumping. 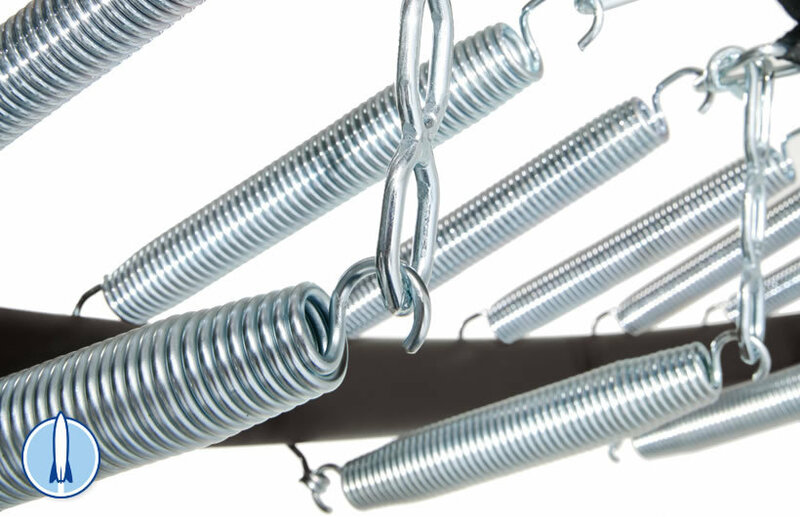 The 14′ trampoline has 96 Primary springs and 32 PowerSprings™ for a total of 128 springs. The 12′ trampoline has 80 Primary springs and 20 PowerSprings™ for a total of 100 springs. (*Real world testing to a combined weight of over 700 lbs!). (*Real world testing to a combined weight of over 800 lbs!). This state-of-the-art technology improves both shock-absorption and bounce performance. It’s the first and only single-bed trampoline that can be tuned for different age, weight, and skill levels, yet it also broadens the performance spectrum so that jumpers with a wider range of weights and skill levels can safely enjoy the same setup. Easily assembles with small hand tools. No cutting or drilling required!